***HEATED SEATS, NAVIGATION!!! 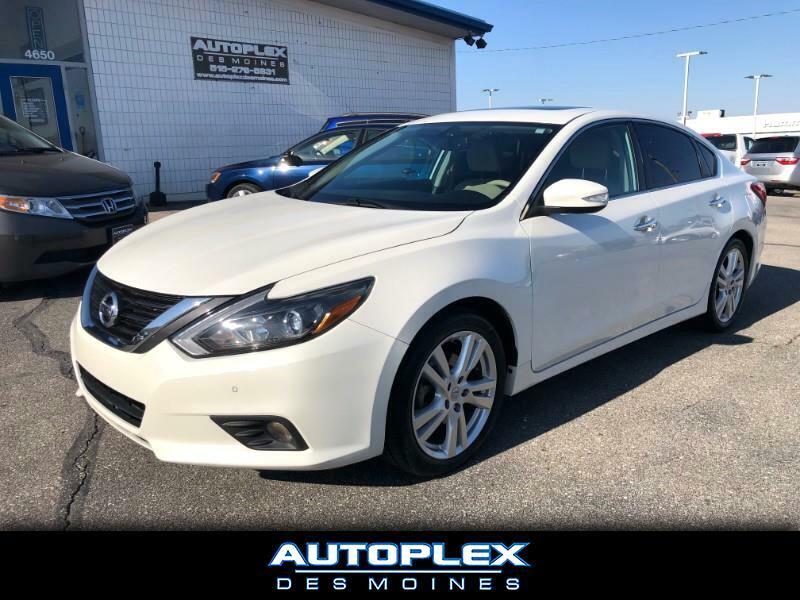 *** We are pleased to offer this clean 2016 Nissan Altima 3.5 SL complete with the 3.5 Liter V6 engine with EPA estimated 22 MPG city and 32 MPG highway. This Altima is loaded with Power windows, Power locks, Power mirrors, Dual power heated leather seats, Heated steering wheel, AM/FM/CD player with Aux audio input and Bluetooth, Moon-roof, Naviagation, Backup camera, Front and rear parking sensors, Cruise control, Steering wheel mounted controls, Paddle shifters and MORE! This car looks and drives great! Stop in today for a test drive! We offer convenient and competitive Bank and Credit Union financing for most credit types to save you both time and money. Come experience the Autoplex Des Moines Difference Today!